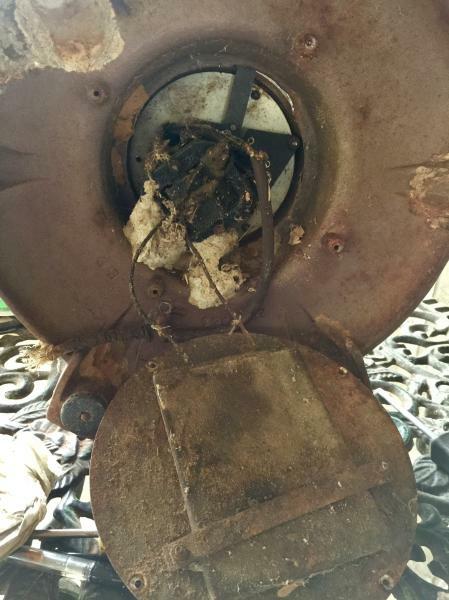 Hoping someone traveling to Darryl’s might have an older 16” GE Pedestal fan for sale. Looking for the older version like the pic. It should have an oil cup for both the front and rear bearings. I hope so too! I restored the one you see in the picture for a customer. My wife loved it, so I’m lookign for one for her. I have a rough one. Runs perfectly but is 100% covered in surface rusted from being in a damp place for many years. I will think about selling it but that was one always "on the list" to be restored. The one I restored had been in an outside shed for 20 years. It was a rust bucket with cobwebs and dirt dauber nests everywhere. Page processed in 0.1597 seconds (20% database + 80% PHP). 27 queries executed.